Homebirth midwives in the US, Australia, the UK and elsewhere are absolutely, positively, 100% certain that they deserve to be treated as autonomous professionals. Let’s leave aside for the moment that any practitioner who depends explicitly on the diagnostic talents and surgical skills of an obstetrician, without which she can not provide safe care, is hardly autonomous. Instead, let’s take homebirth midwives at their word. 1. Adherence to all hospital practice guidelines. 2. Weekly meetings of all clinicians in a particular discipline, known as Grand Rounds or morbidity and mortality conferences (“M&Ms”) to review complicated cases in order to strengthen their clinical skills. 3. Frequent (even daily) meetings and phone conversations with any other clinicians who might care for their patients now or in the future, in order to apprise them of complications that may possibly develop. 4. Obstetricians must fulfill onerous licensing requirements and fulfill them to the letter. Self-study is not an acceptable substitute; apprenticeship is not an acceptable substitute; simply passing an exam is not an acceptable substitute. 5. Licensing does NOT entitle obstetricians to send their patients to the emergency room of any hospital they happen to choose. In order to provide care for their patients within the hospital setting, an obstetrician must apply for and be granted permission to that bring their patients to that hospital. Such permission is known as “privileges.” In order to receive privileges, obstetricians must agree to follow all hospital policies whether they like them or not. 6. If an obstetrician does not have privileges at a specific hospital, the obstetrician cannot simply send a patient to the emergency room and expect that other obstetricians will care for her. He or she must find a specific obstetrician who will accept the patient in transfer, but the person asked is not required to accept. 7. Obstetricians, like most professionals, must carry malpractice insurance. Malpractice insurance is extraordinarily expensive because childbirth is inherently dangerous. Make no mistake, these restrictions on ostensibly autonomous obstetricians are both onerous and costly. Moreover, they limit what obstetricians can actually do. An obstetrician may want to do a VBAC, but if hospital policy does not allow it, the obstetrician can’t do it. An obstetrician may want to lower his cost of practice by forgoing malpractice insurance, but he cannot do so. An obstetrician may want to send a patient to the nearest hospital because it is convenient for her and her patient, but if the obstetrician does not have privileges at that hospital, she cannot do it. An obstetrician may want a specific doctor to accept his patient in transfer, but that doctor has no obligation to agree. These restrictions do not benefit obstetricians themselves in any way, nor are they meant to benefit them. They exist to protect the people whom obstetricians care for or work with. Malpractice insurance protects patients who are injured and holds obstetricians accountable. Licensing standards protect patients by ensuring a high level of education and clinical skill. Hospital policies protect hospitals by ensuring a high and uniform level of care and hold doctors accountable when they do not meet that high level of care. To date, homebirth midwives have rejected all attempts to hold them accountable to anyone. They reject high licensing standards; they reject being bound to hospital policies; they reject the need for weekly or even daily consultations with obstetricians, they dump patients in whatever emergencies rooms they choose, and they reject mandated malpractice insurance. Homebirth midwives don’t behave like professionals. 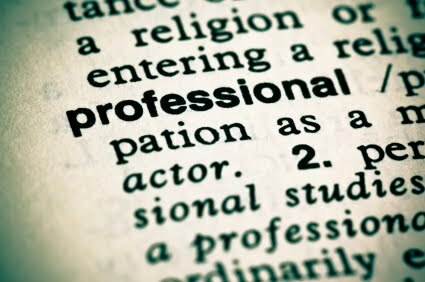 Unless and until they accept the same restrictions placed on physicians, the same high licensing standards, and mandated malpractice insurance, there is no reason why anyone should consider them professionals, let alone autonomous professionals. Anti-vax motto: Don’t be Happy, Worry! Here’s the problem with lactivist claims about Fed Is Best: they miss the forest for the trees. Read an excerpt from the book! Thinking about homebirth? Watch this video! why does MANA's own data show a death rate 450% higher than hospital birth? ... unless you want to appear very foolish. Visual Archives allows you to browse every post in the blog in a unique way. The Skeptical OB Copyright © 2019. All Rights Reserved.